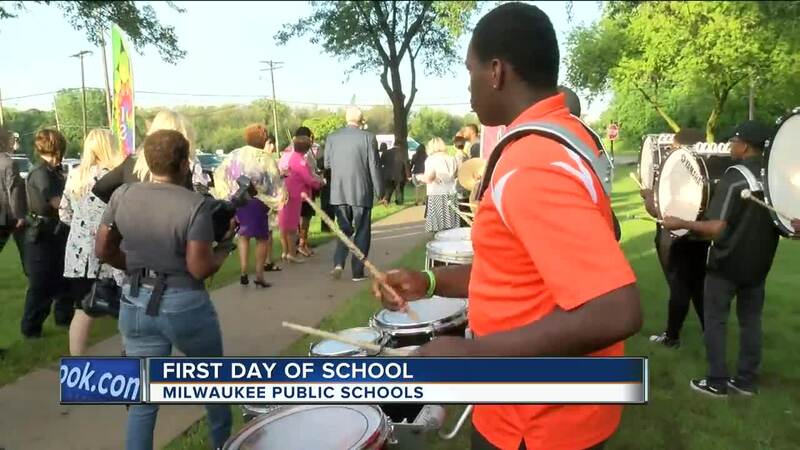 Roughly 45,000 students started school in the Milwaukee Public Schools Tuesday. At Maple Tree Schools, they started things off with a little excitement. 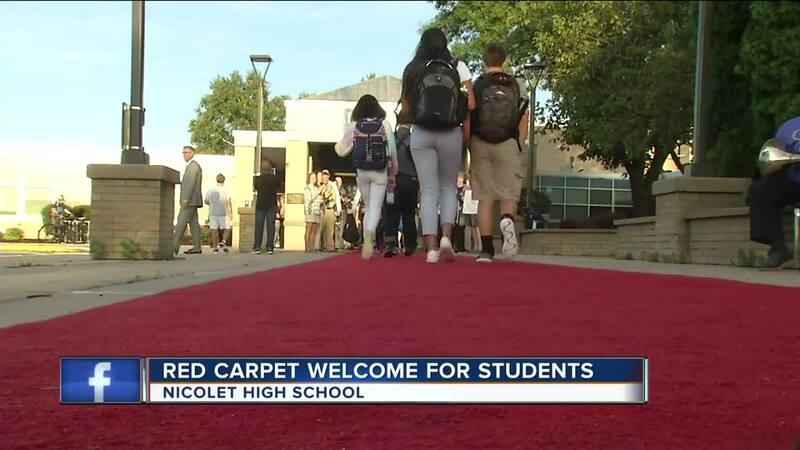 A drumline from Riverside University High School highlighted a red carpet entrance for the students. All of this is to get the kids excited to go back to school. While the entrance is something new, the curriculum is calling on its educational roots this year. "We are going strictly back to the basics," Dr. Keith Posley, Interim Superintendent said. "Math, reading, and writing. All of our young people will master math, reading, and writing." Posley says the ambitious instruction plan will aim to get kids up to speed in those core areas. Right now, students in Milwaukee Public Schools fall below the state average. "We have to make learning fun and exciting so young people want to come back every single day," Posley said. "If you miss school, you're missing something." Several other dignitaries were in attendance to stress the importance of going to school. "Parents clearly are the key to attendance," Tom Barrett, Mayor of Milwaukee said. "Attendance does matter. In order for our children to learn, they've got to be here." Posley says their goal is to hit 95 percent attendance across the district. If they do that, he feels they'll be above the state average in reading, writing, and math. "We have to make sure our young people are present every single day," Posley said. "If you're present, you're learning." Posley says they will be discussing the importance of attendance with both students and parents. He's also calling on the community to help too. "Talk to them," Posley said. "Ask the question, why are you not in school? We need you in school. Attend today and achieve tomorrow."